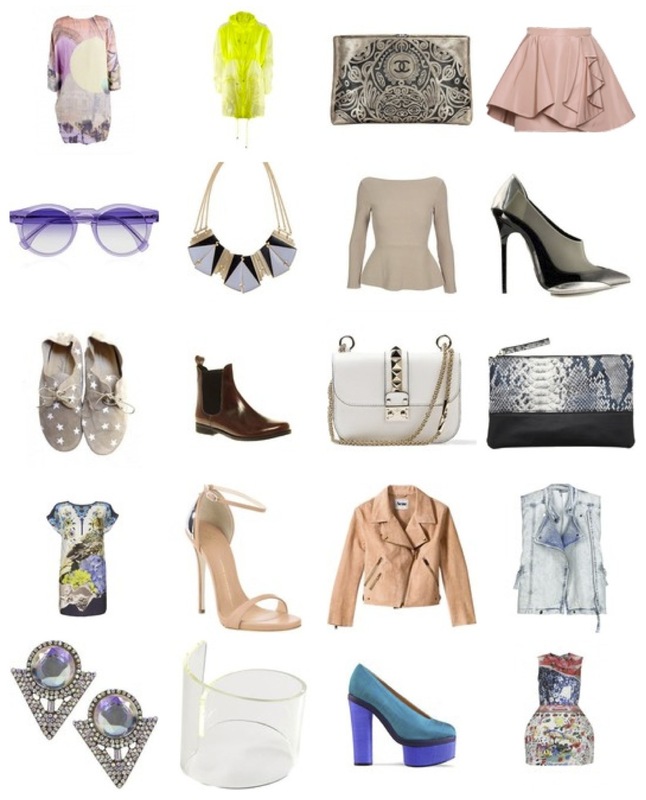 This is what my list on fashiolista looks like these days. What a romantic color palette, very dreamy, yet the silhouettes are sharp and I’m very much into structural pieces. Isn’t the apricot suede jacket from Acne divine? love the neon anorak! i’m actually still waiting for h&m to bring out the sheer neon yellow dress, if you know which one i’m talking about. but i just really don’t feel these acne platforms, I just find them too boxy. don’t you think?